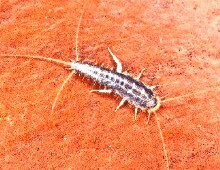 Silverfish live in high moisture conditions. Dehumidifying reduces the moisture content and will help with silverfish control. Use a dehumidifier if necessary. Other methods of dehumidying include ventilation, running the air conditioner and eliminate all standing water. Fix any faulty plumbing that may have caused leaks that may have increased moisture conditions. Silverfish live in dark and moist environments. They feed on wallpaper pastes, natural textiles, books, and papers. They may be coming in from the outside. Spray the perimeter of your house with a high quality residual spray like LambdaStar UltraCap 9.7, Cyper WSP or D-Fense SC every 2-3 months. For severe infestations, use a dust in your attic or such hiding places such as attic insulation, behind refrigerators, light fixtures, electrical outlets. The recommended dust would be D-Fense Dust or Cimexa Dust. You can also use an insect bait like Intice 10 Perimeter Bait, scattered in the infested area. Keep children and pets away from the bait. Get Rid Of Silverfish Kit combines these products. Small and flat, silverfish have scales and are a silver/blue color. Their body is tapered and it has 6 legs and no wings. Without wings, they wriggle like fish. Silverfish eat a broad variety of carbohydrates and proteins, such as dried beef, flour, moist wheat flour, starch, oats, paper, glue, dead insects, some synthetic fibers, sugar, beef extract, and linen. Silverfish can live a long time without food. They also can live in damp basements and eat the surface mold on cardboard boxes. Since silverfish eat some human foods, they can leave their excrement and body scales in the food stuff. 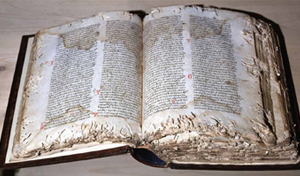 Most of their damage is to books, paper products, and some natural and synthetic fibers. They can leave yellow stains on linen. Their marks that are left after they feed are irregular, and they leave irregular shaped holes. They can attack fabric. 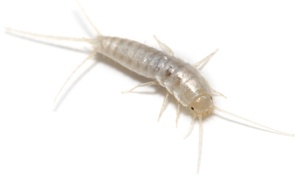 Silverfish are commonly found in basements, attics, kitchens, bookcases, wallpaper paste, bathrooms and laundry rooms. They prefer moist and dark locations with humidity (75-97%) and moderate temperatures (60-80 degrees F). They tend to live close to food sources and prefer dark environments.